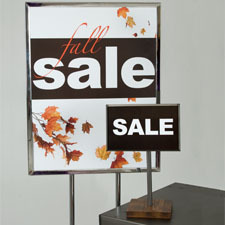 Kick off every promotional event with an eye-catching sale sign or banner from Firefly Store Solutions. 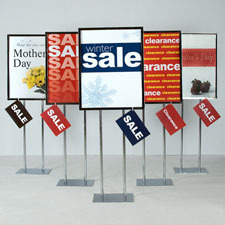 Generate excitement with your choice of colorful sale posters with matching sale cards or vibrant static cling window signs. 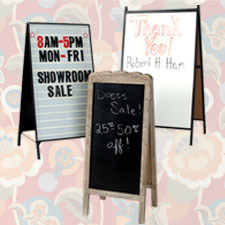 Sidewalk message boards are also available in a wide variety of styles to announce that special promotion event..